While balancing baby plans, work, baby showers, and all while still trying to binge watch, Tristan and The Girl were able to watch Lemony Snicket on Netflix this week. You might remember the books, you might remember the movie that came out in 2004 with Jim Carrey. This is a whole new ball game when it comes to episodic streaming and the people behind the scenes don't let you forget it. 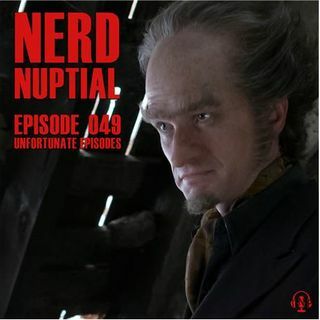 In this eight-episode series, ... See More the Baudelaire children lose their parents and get shipped off from guardian to guardian while trying to avoid the evil Count Olaf. Is it's inherent repetitive nature too much to handle? Is it a kids show or is it for adults? We discuss this and a whole lot more so listen and find out.